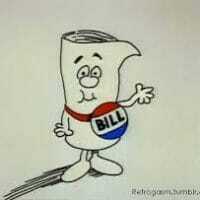 When we were kids, the TV show Schoolhouse Rock taught us how laws were passed in Congress with its catchy “I’m Just a Bill” tune. Here’s a run-down on how it works in Texas. Savvy political activists and concerned voters need to understand the calendar system so they can hold their legislators accountable and not get hoodwinked with a “time ran out” excuse. The Texas Constitution outlines calendar deadlines dictating when bills can be filed, when they can be discussed and voted on in committee, and finally when they can head to the floor to be discussed and voted on by the entire body of the House or Senate. We have provided a very basic outline for this process, including the important deadlines. 60 Day Rule: During the first sixty days of each legislative session, bills may be filed and heard in committee, but typically not heard or debated on the floor before the entire legislative body. First, by a four-fifths vote, legislators may suspend the “regular order of business” and move faster. This was often done in the past, but has fallen out of practice over the past decade. Unless the regular order of business is suspended, the first sixty days are reserved for filing bills and holding committee hearings. Second, when the governor deems certain issues “Emergency Items,” bills related to those items are not subject to the 60-day waiting period. Those bills are allowed to be heard by the full House and Senate as soon as they pass out of their respective committees. When a bill is first introduced on the House or Senate floor (called the “First Reading”) the caption of the bill is read, after which the bill is immediately referred to a related committee. For example, legislation that would affect the care of foster children is typically assigned to the Senate Health and Human Services Committee. While the bill is in its assigned committee being debated and voted on, it is considered in between First and Second Readings. If the bill is passed in committee, it moves to the next step. Citizens should pay close attention to this step. Many bills die because they languish waiting to be scheduled for a floor vote despite receiving approval in a committee. In the Texas House, once a bill passes out of committee, it heads to the Calendars Committee which decides the order in which bills will be heard by the entire body of the House. This committee effectively serves as a gatekeeper with the power to kill legislation before it reaches the floor. If and when the Calendars Committee does approve a bill, it is scheduled for debate and vote by the full House. In the Texas Senate, once a bill passes out of its assigned committee, it heads to the Intent Calendar. This Intent Calendar essentially serves as a “hopper” from which the lieutenant governor can choose which bills to bring to the floor of the Senate. There’s only one catch — in order for the lieutenant governor to take up a bill from the Intent Calendar, 60 percent (19) of the 31 senators must vote to open debate on the bill. Once the bill comes to the floor for a vote, the bill’s caption is read again before the full House or Senate, the bill’s author makes an introductory presentation about the bill, and the bill is opened for debate, amendments, and eventually a vote. This is known as the bill’s “Second Reading.” If the bill is passed, it moves to the next step. Once the bill passes Second Reading, it must be read again and voted on again at “Third Reading.” In the House this is typically done on the following legislative day, allowing members an opportunity to review any amendments that were adopted during Second Reading and propose additional clean-up amendments during the Third Reading debate. The Senate, on the other hand, often votes to waive the constitutional rule requiring that bills be read on three separate days. If the motion to waive the rule is approved, the bill’s caption is read again for a third time and the bill is voted on again. If the rule is not waived, then the bill will typically be read again and voted on the next legislative day. Once a bill moves from the House to the Senate or the Senate to the House, it begins the process again at First Reading in the other chamber. While in the other chamber, a bill may be amended or even totally rewritten. If the bill is passed on the Third Reading in the other chamber, then it is returned to the original chamber which can vote to either approve the changes that have been made or reject the changes and request the appointment of a conference committee. If the original chamber approves of the changes, then the bill is sent to the governor. If a conference committee is requested, then members from each chamber may be appointed to work out the differences between the two chambers. If the conferees are able to agree on a final version of the bill, then the conference committee’s report will be submitted back to each chamber for a final vote. If the conference committee report is approved by both chambers, then that final version of the bill will be sent to the governor. Once a bill is approved by both the Senate and the House of Representatives, it will be transmitted to the governor. There, the governor will have a period of time to decide whether he wants to sign the bill, veto the bill, or allow the bill to become law without his signature. If he chooses to veto the bill while the legislature is still in session, then the bill is transmitted back to the House and Senate where the veto can be overridden by a vote of two-thirds of the members in each chamber. Next week, we’ll take a look at some of the current legislative session’s most prominent bills and the upcoming deadlines that will impact their progress toward becoming state law.